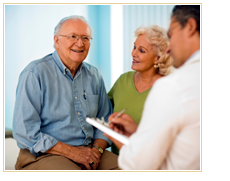 The first time when you come to the Clinic you will spend approximately an hour with us in a one-to-one setting. This first meeting is very important for both of us. We would like to give you sufficient time to share your sleep problems & concerns with us & to get answers for your questions. We would like to learn about your sleep & sleep difficulties, including your sleep schedule, your sleep environment, the onset of your sleep problem & how it may have changed over time. Most sleep disorders are associated with daytime symptoms, for example sleepiness, fatigue, change of mood or cognitive performance; the assessment of which will help us to make a diagnosis & find the best therapy for you. We will also take your medical, psychiatric & family history. The comprehensive questionnaire booklet that you complete & bring for this first appointment provides us with supplementary information on your sleep habits as well as on the nature & severity of your sleep & daytime problems.